When her younger brother Charlie (Gabriel Bateman) unexpectedly disappears into the magical, animated universe of PLAYMOBIL, unprepared Marla (Anya Taylor-Joy) must go on a quest of a lifetime to bring him home. As she sets off on a fantastic journey across stunning new worlds, Marla teams up with some unlikely and heroic new friends – the smooth-talking food truck driver Del (Jim Gaffigan), the dashing and charismatic secret agent Rex Dasher (Daniel Radcliffe), a wholehearted misfit robot, an extravagant fairy-godmother (Meghan Trainor) and many more. 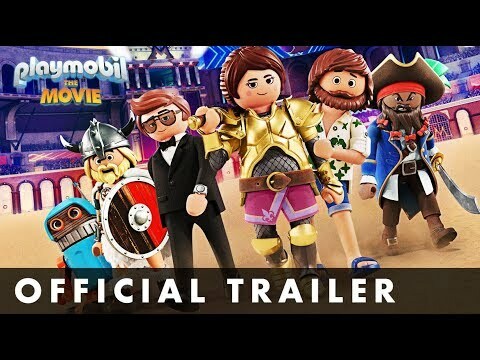 The upcoming Playmobil: The Movie release date is August 9, 2019 in the UK and the US. Notify me when Playmobil: The Movie Cinema is available.